Munich - German 2014 FIFA World Cup winner Toni Kroos has completed his move from FC Bayern München to Spanish side Real Madrid CF. The 24-year-old midfielder has signed a six-year contract with the UEFA Champions League holders, joining for an undisclosed fee. 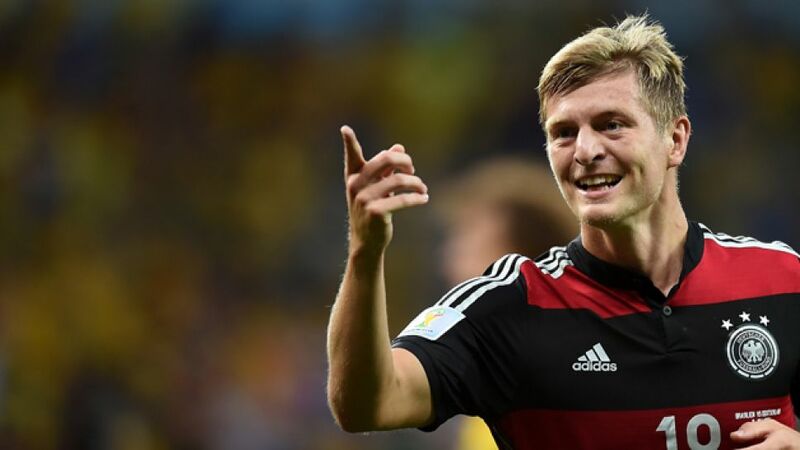 "We would like to thank Toni Kroos for his time in Munich," said Bayern's CEO Karl-Heinz Rummenigge. "We enjoyed great success here together. We wish him and his family all the best in Madrid and with Real." Kroos made a total of 173 Bundesliga appearances, 43 of which came during an 18-month loan spell with Bayer 04 Leverkusen between January 2009 and June 2010, wracking up 23 top-flight strikes in the process. Kroos became the first player fborn in East Germany to win a World Cup after featuring in all of Germany's games at this summer's spectacle in Brazil. The 51-time international boasted an enviable track record of winning trophies during his four-year spell as a first-team regular with FC Bayern. Domestically, Kroos has won the Bundesliga three times as well as lifting three DFB Cups, the UEFA Champions League, the UEFA Super Cup, the FIFA Club World Cup and the DFL Supercup. We salute Toni Kroos with a look at some of his best Bundesliga moments, courtesy of the Bundesliga's official YouTube channel.